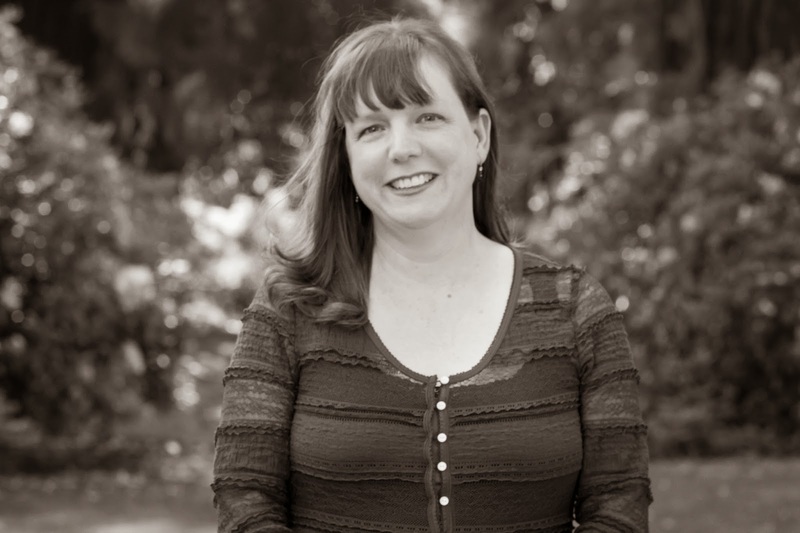 I am thrilled to be a stop on the book tour for The Steep and Thorny Way by Cat Winters, hosted by Rockstar Book Tours! I have a review and guest post for your reading pleasure, but be sure to check out the tour schedule below, or click the banner above, for more! I could have used the lamp sitting on my chest of drawers to light my room, but I chose not to. Uncle Clyde had brought electricity to our home after his marriage to Mama last January, but I felt that electric light - that unnatural burst of blinding energy - possessed no heart. No passion. No joy. Candlelight cast such a delicate beauty. It flickered with emotions and warmed one's skim and soul. He lowered his face and wrinkled his brow. "My body just couldn't take what it was given that Christmas Eve, baby doll. I'm sorry I wasn't a stronger man and that hate won out that night." He heaved a sigh that made his shoulders rise and fall. "Hate is a powerful demnon that worms its way into the hearts of fearful men." "We're still alive," I said. "Still in one piece. Let's stay that way. Let's go make something of ourselves and show them how much we're thriving." He breathed a small laugh. "You make it sound simple." "I didn't say that, but let's do it. Let's become better educated than them - make more money than them - love people more fiercely than they could ever dream of loving." I pressed my face against the fresh whiskers on his cheeks and the coarse wool of his shoulder, and I feel asleep, thinking of wading in creek water and childhood nights when Daddy told me to love the world, even when it didn't love me back. It's no secret that I love Cat Winters. It's no secret that as far as I'm concerned, she can do no wrong. Thus it should come as no surprise that I absolutely love The Steep and Thorny Way. Everything from cover to cover is the epitome of Cat Winters. Hanalee has always grown up as a bit of an outsider. The daughter of a white woman and an African-American man hasn't made life easy for her, but she was happy. Until 16-year-old Joe Adder drives drunk and kills her father on Christmas Eve 1921. After a conversation with Joe and her father's ghost, Hanalee begins to suspect that her Uncle Clive (aka her stepfather) has more to do with her father's death than initially suspected. This is where the similarities to Hamlet and The Steep and Thorny Way end (aside from her chapter heading being quotes pulled from Hamlet, which I loved!). Cat takes inspiration from Hamlet, but morphs the story from Hamlet's to Hanalee's. In attempting to find the truth of her father's death, Hanalee uncovers the ugliness of her small town. 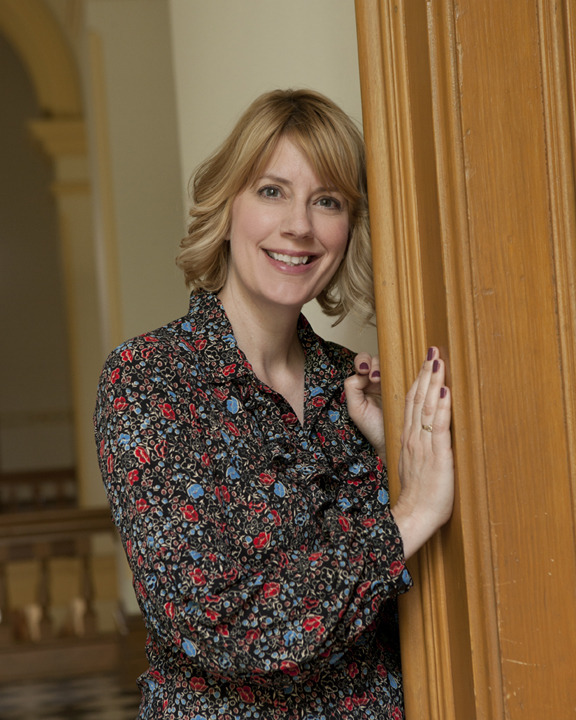 Yes, something is rotten in the state of Oregon. The Ku Klux Klan is recruiting in Elston and old friends are starting to show their true feelings about Hanalee, her family, and few other "unclean" townsfolk. Much like Cat's prior three novels, it's evident how much research she has done. Some movements and events she discussed made me sick to my stomach and it's disturbing to think that she didn't make these things up, but pulled them from our own history. This fictional story is seeped in so much non-fiction, that it's hard to believe Hanalee wasn't a real person. Not only is Hanalee an amazing main character, but the supporting characters are just as strongly written and realistic. There is also a such a variety to these characters that Elston feels like a real town. There are bootleggers, Ku Klux Klan members, preachers and their families, those who accept peoples' difference, and those who do not. The Steep and Thorny Way is written so beautifully and so truthfully that it's hard not to feel moved by the events that transpire on every page. If you have yet to read a Cat Winter's novel or not yet added her latest to your TBR pile, I highly encourage you to rectify your gross mistake and pick up The Steep and Thorny Way. 1. The Steep and Thorny Way is loosely based on Hamlet. It’s not a scene-for-scene retelling, but the central conflict and the chapter titles derive from Shakespeare’s play, and many of the characters are analogous to Hamlet characters. 2. The “Hamlet” in my novel is a sixteen-year-old biracial girl named Hanalee who lives in 1920s Oregon—not a young Danish prince from the Middle Ages, as in the play. 3. In Hamlet, the title character originally believes that a snake killed his father, but then he learns from his father’s ghost that his new stepfather, King Claudius, poisoned him. In The Steep and Thorny Way, Hanalee originally believes that a teenage boy named Joe Adder killed her father, but then she learns from her father’s ghost that her new stepfather, Clyde Koning, may have poisoned him. 5. In 1921, the KKK entered Oregon, gained control over several communities, and influenced the 1922 and 1924 elections. The group attracted approximately 35,000 members by 1923 and branched out to include the Women of the Ku Klux Klan and the Junior Order of Klansmen for teens. The organization lost its power in the state by 1925, when internal struggles and scandal alienated members. 6. Racism in the Pacific Northwest didn’t start with the Klan. In its original 1857 state Constitution, Oregon banned African Americans from residing in the state, from owning land, and from making contracts. Although not heavily enforced, the law wasn’t repealed until 1926, and its impact on the state’s lack of racial diversity can be seen to this day. 7. 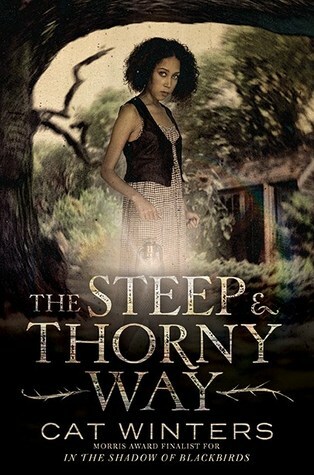 The Steep and Thorny Way is a standalone novel. 8. The book is set during the height of Prohibition in America. Originally, I thought about writing a book about female, teenage bootleggers, but the prejudice of the 1920s quickly took over the plot. You’ll still find young bootleggers and moonshiners in the novel, however. 9. Despite its uncomfortable historical setting, I primarily see The Steep and Thorny Way as a tale of friendship. The book doesn’t involve a romance, but I feel that it’s more of a love story than anything else I’ve written. 10. This will be the last of my YA historical “photo books.” Just like with In the Shadow of Blackbirds and The Cure for Dreaming, The Steep and Thorny Way includes archival historical images throughout the pages. Although the three books aren’t related, I think of them as being my Strong Females Dealing with Dark History YA novels. My next historical novel for teens will delve more into the realm of fantasy, and with it I’ll be retiring the use of photographs.